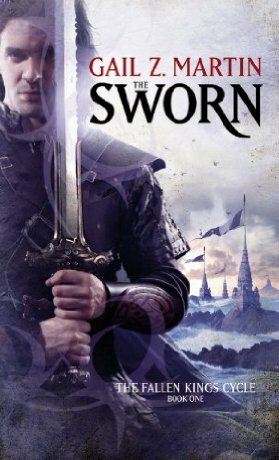 The Sworn is the first book in a new fantasy series by Gail Z. Martin, The Fallen Kings Cycle. It starts about 6 months after the end of Martin’s previous series, The Chronicles of the Necromancer (composed of The Summoner, The Blood King, Dark Haven, and Dark Lady’s Chosen, respectively). In spite of the fact that it is a continuation of the story began in these other books, it is supposed to work as a starting point even for new readers to the series and introduces some new characters while keeping many familiar ones. A sequel, The Dread, is scheduled for release in early 2012. Contrary to popular belief, it’s not good to be the king, at least not if facing the same obstacles Tris Drayke must overcome. He has become a powerful summoner and defeated Jared the Usurper to take his place as the rightful king of Margoaln. However, the usurper’s reign disrupted the former tranquility the nation enjoyed as well as creating financial hardship. Tris’s marriage to Princess Kiara of Isencroft contributed to further turmoil in both kingdoms, who do not get along and are not pleased about sharing a joint crown. This will not be resolved until each of the two kingdoms has its own heir, but Tris and Kiara’s first unborn child was nearly assassinated, leaving them to wonder if the first of these heirs will be healthy. Furthermore, Tris begins hearing rumors of a dark mage beyond the sea while a plague runs rampant through the kingdoms. He discovers the secret to winning the imminent war may lie with the Dread, the mysterious protectors of the barrows guarded by the Sworn, and determines to learn all he can about them – and try to enlist their aid in the upcoming struggle. Gail Z. Martin appears to have a rather large fanbase, so when the first book in her new series found its way into my mailbox, I didn’t have to think twice about reading it. Unfortunately, while The Sworn has worked for many others, I found it did not suit my personal taste. Part of this may have been due to not having read the first series. While this novel is supposed to be the start of a brand new series, it’s very obvious that it’s not really the beginning. The prologue was a five page long summary of what happened before, and it throws out so many character names at once that it’s extremely difficult to keep track of them all. In the first two paragraphs, I just counted 13 names of brand new characters! With this, there is the immediate feeling that one is picking up in the middle of a story instead of starting a new one, and perhaps with more of a stake in the characters and their situations, I would have enjoyed it more. Also, trying to make this story accessible to new readers was a hindrance since the forward momentum of the story was quite often interrupted to fill readers in on what happened before or who a certain character was. In addition to stopping rather often to keep readers informed on the past, it was extremely detailed and much longer than it needed to be. A lot more description than necessary was spent on describing character’s appearances and clothing. 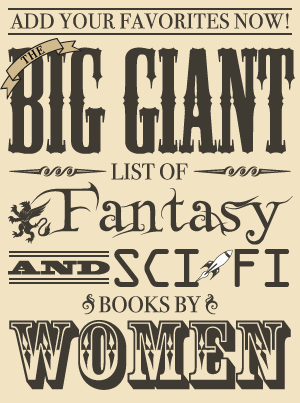 Considering the length of the novel, not a lot seemed to happen at all. There’s a large number of character viewpoints, and the plot seemed to progress very slowly as each character seemed to learn very similar details about the situation without adding anything new. There were three or four chapters toward the end in which it largely felt like each viewpoint was focusing on the same new-to-them revelations – but it wasn’t anything new to me since I felt like I had just read the same exact news in the chapter before. It seems as though this book largely exists to set up the next volume, especially considering the main action seems about to begin on the very last page. For a book that is nearly 600 pages long, that’s a lot of time spent setting up what comes next. The amount of setup may not have been much of a problem if the journey and the characters were more appealing; however, I found both to be quite dull considering my own personal inclinations. While it is an interesting change of pace to see so many creatures associated with urban fantasy in a secondary world fantasy (vampires, shapeshifters, ghosts, and zombies), The Sworn is largely a story about good vs. evil. This is a trope I’ve tired of reading about unless the characters can win me over, and most of these characters are rather generic, as well as too dutiful and near-perfect to be compelling. For example, Tris is the greatest known mage at the time, Jonmarc is an unbeatable warrior, and Carina is the best healer. Aidane was one of the more unusual characters with the ability to converse with and submit her body to ghosts. As she used this gift to survive as a prostitute for people who wished to be reunited with people from their pasts, she was one of the more different characters in the story, but she also did not strike me as an engaging protagonist. No one had a personality that really made them stand apart from the other characters; they were largely defined by their special characteristics. Also, everyone was entirely devoted to doing the right thing, and while this makes them admirable it also makes them boring and not very realistic. On a couple of occasions, someone was prepared to put themselves in a potentially deadly situation for the good of the kingdom, and the reactions of those who loved them was some sadness but it was overshadowed by understanding and acceptance – no real internal conflict, just resignation to what must be done. Not only does The Sworn feel like it is picking up right in the middle of a story, but it also feels like one long setup for the next book that ends right when the action is about to pick up. It’s also not geared toward my particular taste as a more traditional fantasy story with a very clear line drawn between good and evil, which is where the main conflict appears to lie. The main protagonists tend to be very powerful, special, and devoted to the common good with no glaring human flaws to round them out – and that just contributed further to my lack of interest in this novel.